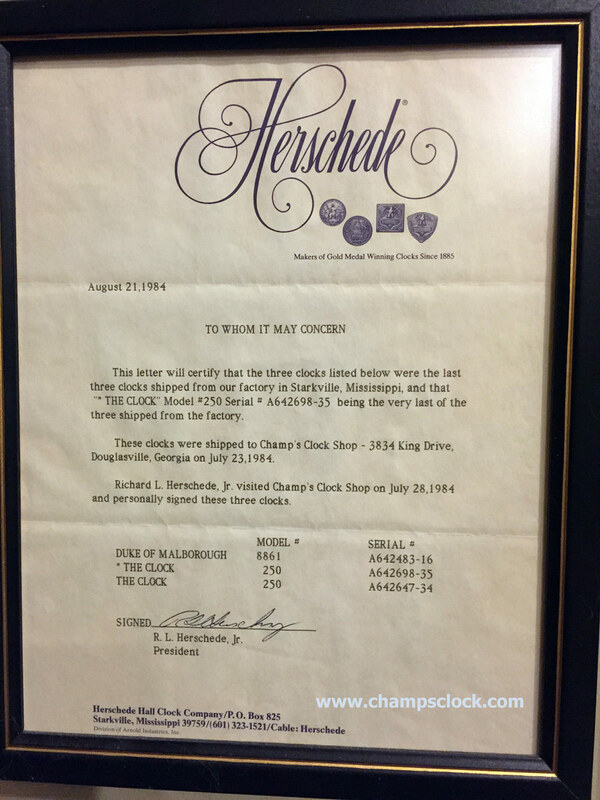 The only hand signed Herschede clocks were signed at Champ's on July 28, 1984 by Richard Herschede Jr. (only about 15 pieces in all). After 99 1/2 years of business Herschede Discontinued production. The Last Model Version of the 250 featured Side Access Doors. The 8861 Duke and 8261 Earl of Marlborough models were originally designed that way. 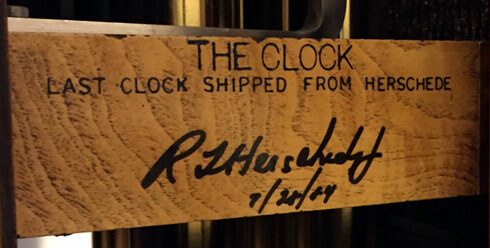 The Last Herschede Clock to be manufactured and shipped from the Original Herschede Hall Clock Company. 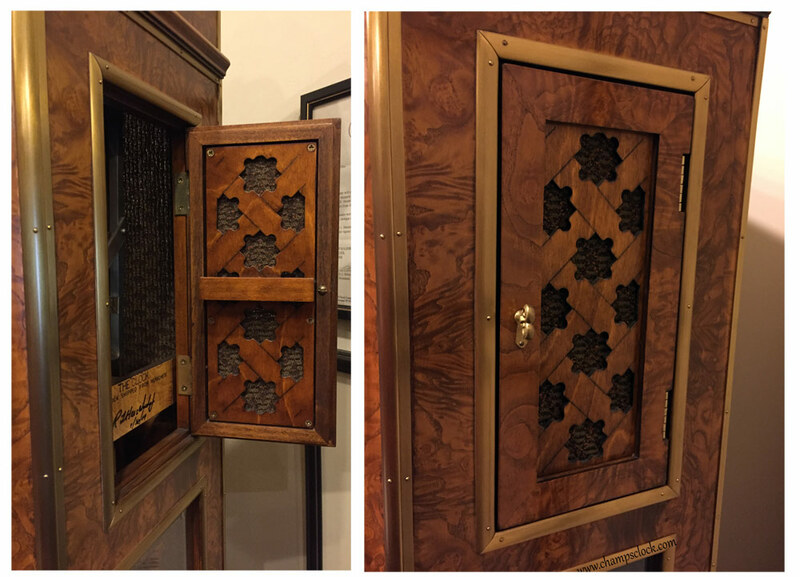 This clock Was not just the Last Herschede, It represents the Last 100% American made Grandfather Clock made in Production. 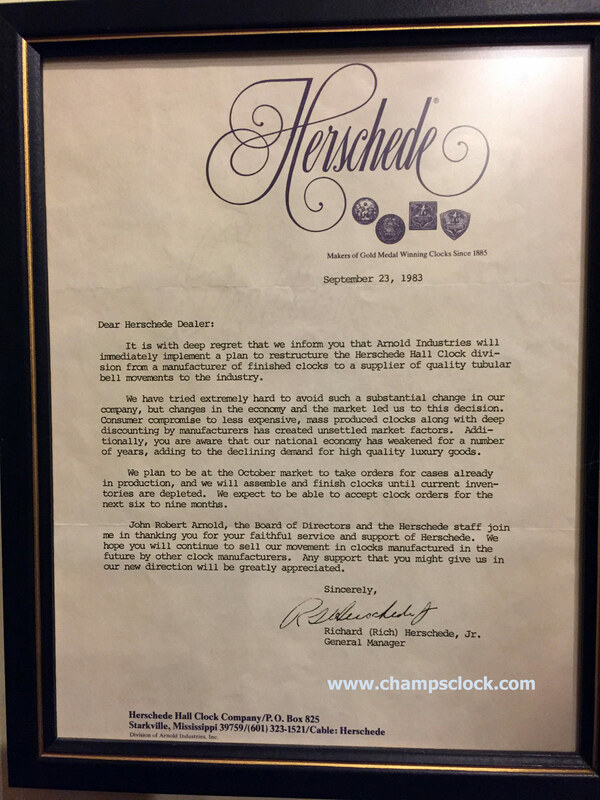 How did Champ's Clock Shop get the Last Herschede? Champ's owner, Jerry Champion had become friends with Richard Herschede after a visit to the factory during a Dealer Tour. 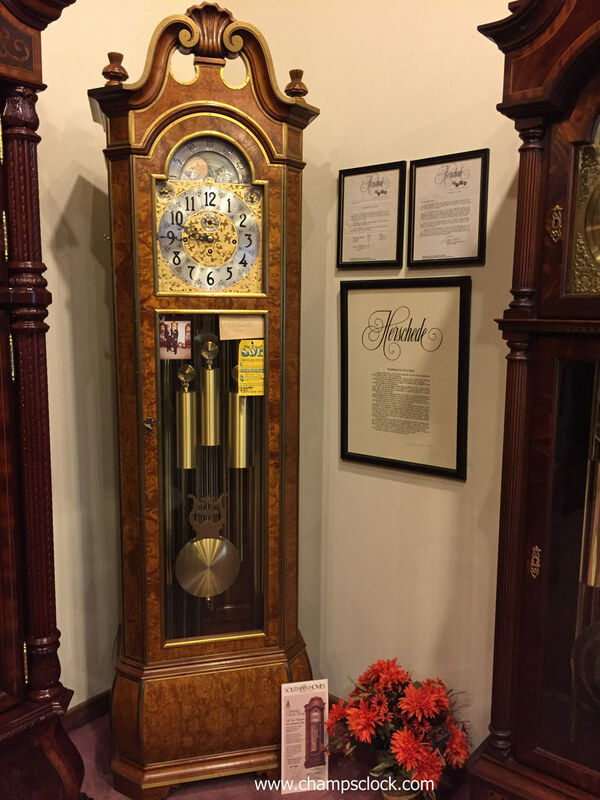 Richard encouraged a large purchase of clocks to Champ at the Next Market Show. It was more money than we had ever been in debt for in our company history. We were worried that selling this much product and being able to pay for the order would be a problem. Richard saw something in Champ that he didn't know about himself. The terms were 6 months and Rich told Champ if he couldn't pay by then, they would work something out. Jerry immediately began a sales promotion and with great success paid off the debt in a few weeks and placed more orders. WIth Sales of Herschede clocks going so well for us, then receiving the end of production letter, Jerry immediately called Richard in disbelief and asked, "is this really all going to end ? " and somewhere in the conversation Champ asked if anyone had asked for the last Clock? Rich replied, "You just did, what model do you want it to be?" 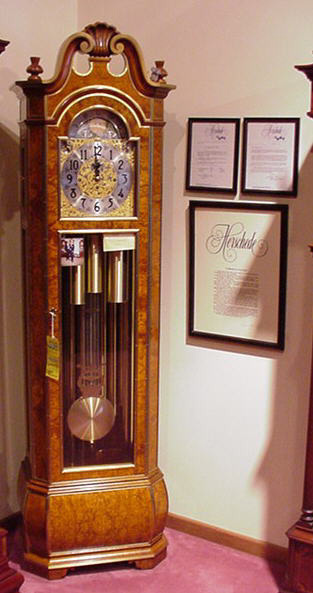 Champ' Chose "The Clock" as well as another of the same for his personal collection and an additional clock, the Last model design, The Duke of Malborough model 8861 which also stands in Champ's Home today. We remain friends with the Herschede family today. Their trust and encourgement was a first for our company and we are forever grateful.